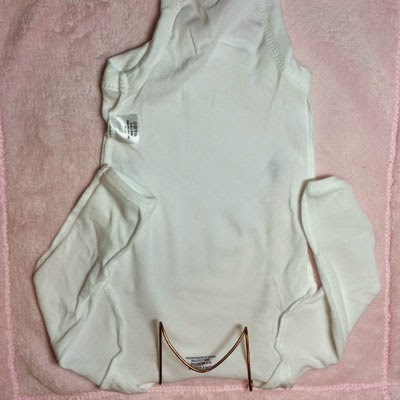 Cookie's Embroidery and Sewing Creations: Part 7, Machine Embroidery to make an " Easy Onesie" Project - Gather your supplies! 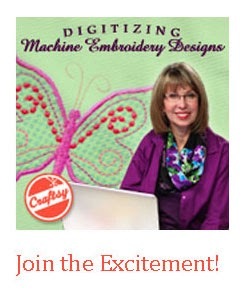 Part 7, Machine Embroidery to make an " Easy Onesie" Project - Gather your supplies! 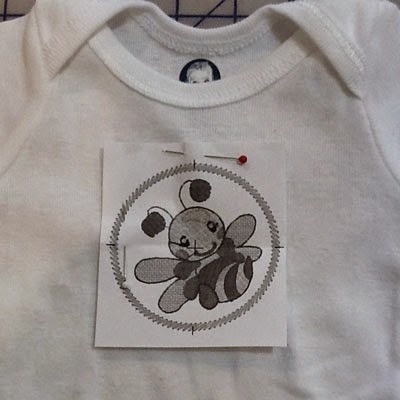 Just in time for the holidays, the easiest method for embroidery on onesies. AllAboutBlanks stocks quality baby snap tees in white, black and red! 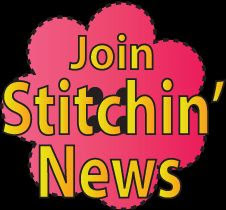 Sticky stabilizer is available at your local sewing machine dealer or order online at TerradonEmbroidery.com! 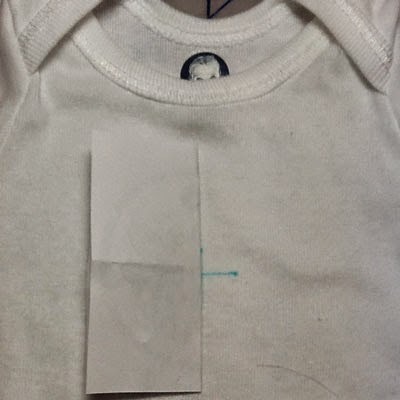 Pin to the onesie at the top for creating placement marks. Admittedly, this is a no fuss eye-ball method. Use whatever placement mark method you prefer including hoop templates. 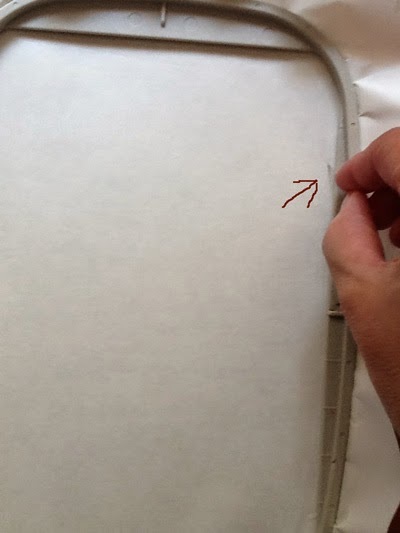 Fold the Tee itself to find the center of the shirt. Do you see the gerber baby peeking out at you? 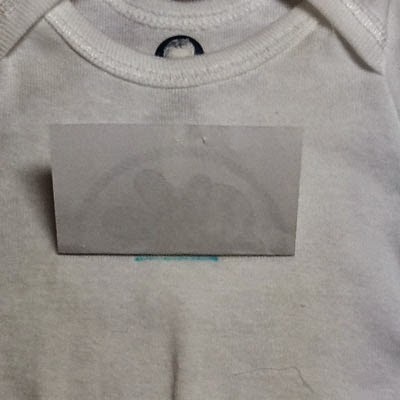 I chose this inexpensive onesie as it has clear printed "guide" markings to see right side and wrong side for the purpose of this post. Let's hoop the onesie by first turning it inside out, and have the back of the shirt facing towards you. Slip the Easy Tool in-between the two layers at the neck opening. 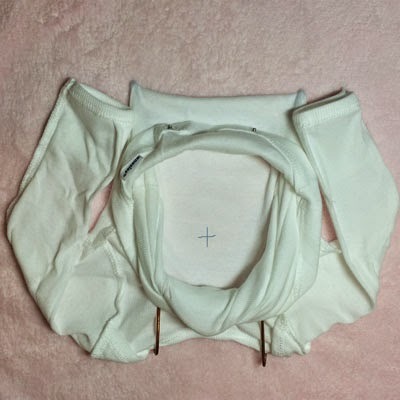 The back panel of the onesie with the snaps will then be wrapped around the U shaped handle of the Easy Tool in the next step. 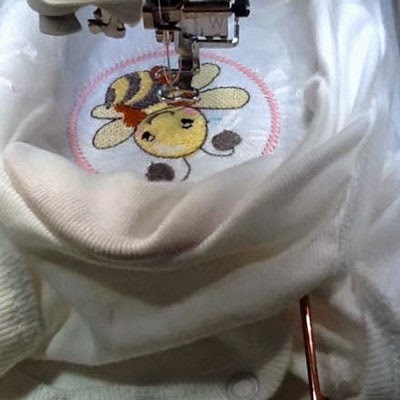 By doing this step, you will reveal the pretty side of the onesie to be embroidered with the placement markings now visible. See the next photo. Pretty slick! 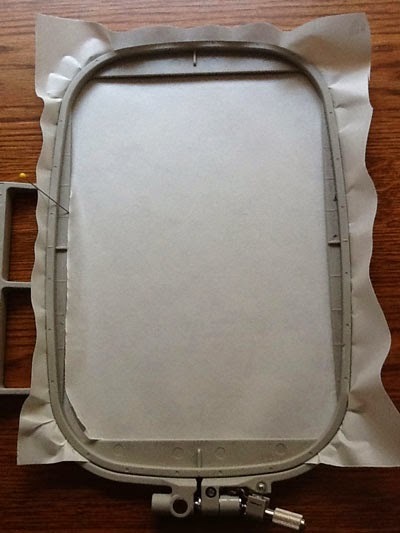 From this step you will take the frame unit and place it onto the sticky paper. You can easily adjust the baby onesie to lie straight on the stabilizer. Look at the knit lines of the tee and keep them relatively straight. 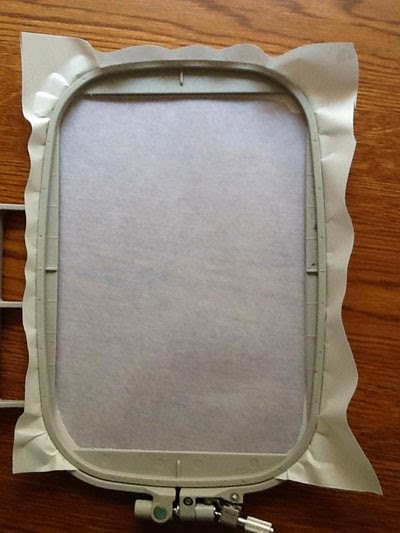 If you were doing this without the Easy Tool, it would take more time as you would be pinning things out of the way. Look at the next photo and see how nicely it fits in the hoop. You do need to have a minimum 5x7 hoop to use the Easy Onesie. 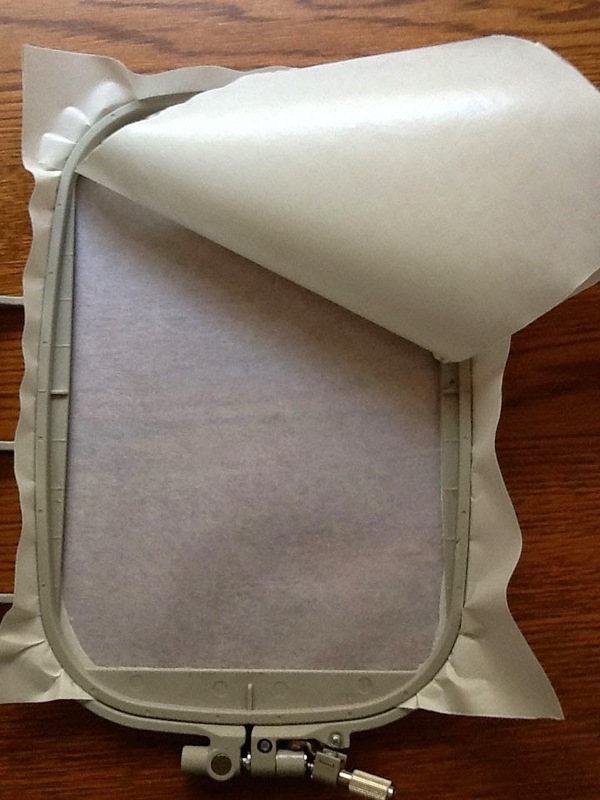 Once on the hoop with the "grain" of the fabric straight, you are able to secure the tee out of the way. The copper covered stainless steel frame of the unit let's you adjust it, if needed. 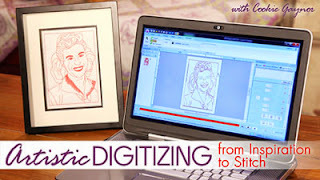 The next two steps share one very important tip: remember to flip your embroidery design to stitch in the correct position. 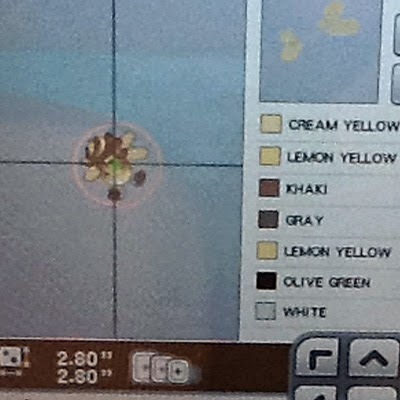 You can see that in the screen capture of the machine and then as it is stitched out in the photos below. Optional: Add ribbon to sleeves by sewing it with a zigzag stitch stressing the cuff area as you sew to give it a slight ruffle appearance. 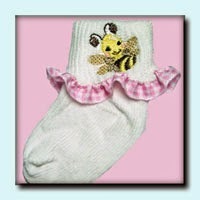 Socks refresher in next post! THat honeybee is adorable. 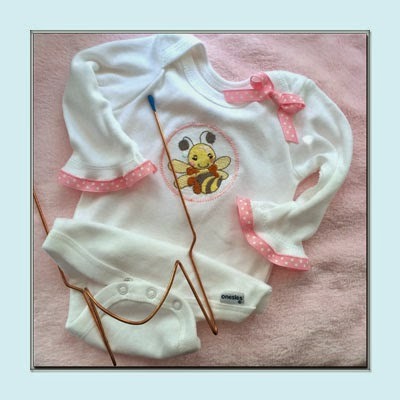 I've been thinking about embroidering my beesuit with some type of honeybee design. I found you through BlogLovin'. Just so you know, I was not able to comment on your post using Blog Loving, I kept getting a spinning wheel. Which I thought was odd, since I was able to comment on other sites through BL. I copied/pasted your site info so I could comment.